Celebrate the arrival of spring and catch up with WHCM friends and colleagues at our networking event in Dedham, MA! Enjoy appetizers and a cash bar. Non-members, your fee can be applied toward the yearly membership fee of $50 if you choose to join us. We’ve rescheduled our Winter networking event thanks to the BLIZZARD of 2015! Hopefully spring will be on the way when we meet in March. Network with old friends and meet some new ones right in the heart of Boston’s medical community. Hearty appetizers and cash bar will be available. We look forward to seeing you there! **Parking is validated after 5 pm at the Longwood Inn and the price is $8.00. Please bring parking tickets into the event for validation. Celebrate the arrival of spring and catch up with WHCM friends and colleagues at our networking event in northern MA! Enjoy appetizers and a cash bar. Please join Women in Healthcare Management for an evening of informal networking. We’ll have heavy appetizers and a chance to get to know other women in the industry. We may even play a fun low-key game or two! This exciting forum will be a chance to interact with career coaches, hear their advice, and network with other WHCM members. Whatever your career level, our coaches will have tips for you. Early to late careerists are welcome! When you register, please submit a question for our career coaches about managing or changing your career path. Dinner will be served. Beth Waldman joined Bailit Health Purchasing in January 2007 after over twelve years of service to the Commonwealth of Massachusetts. Beth’s expertise is in health care policy, program development and implementation, specializing in Medicaid and SCHIP programs and coverage for the uninsured. Immediately prior to joining Bailit, Beth served as the Commonwealth’s Medicaid Director. As Medicaid Director, Beth was responsible for the administration of the Massachusetts Medicaid program, MassHealth, which covered over 1 million Massachusetts residents and had a budget exceeding $8 Billion. 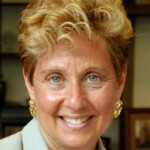 Beth played a key role in the formation and implementation of the Commonwealth’s Health Reform Law in 2006. Beth is a graduate of Union College in Schenectady, NY. She holds a law degree from Boston College Law School and a master of public health degree from the Harvard School of Public Health. Since 2001, Klavens And Company has served individuals and organizations seeking to build on their strengths and maximize their potential. Cissie Klavens founded the company to make her special blend of career management and professional development skills available as a coach and consultant. George Klavens, an executive coach and practicing psychiatrist, joined the company in 2006 to lend his substantial experience in the areas of coaching and group facilitation. Cissie’s prior experience blends corporate and entrepreneurial, mainstream and non-traditional. After executive positions with Digital Equipment Corporation and Prime Computer, in 1986 she launched The Pickwick Group, a pioneering firm specializing in interim executive placement and flexible work arrangements, which she ran for 17 years. She has an MBA from Babson College and a BA from Barnard College. An active member of The Boston Club since 1990, she also serves on the founding board of Discovering What’s Next (DWN), a non-profit organization providing resources, connections and services for people over 50 seeking to explore new possibilities. Cissie is a recognized authority in the areas of career strategies, executive temping and alternative work arrangements. She was selected as one of Boston’s Top 10 Executive Coaches by Women’s Business. From corporate management roles to singing in a rock band; from adjunct professor to facilitating training in the Mediterranean Sea; Deb is a versatile and visionary coach who is passionate about partnering with leaders from all over the globe to develop and evolve their leadership potential. Deb has facilitated leadership, personal development, and coach training programs in the US, UK, Ireland, Cyprus, and Israel. She received coaching certifications from the Coach Training Alliance, and the Evolutionary Institute. Deb was awarded her PCC credential from the International Coach Federation and was selected as a finalist for the ICF-New England Career Coach of the Year award in 2011 and 2012. Deb partners with executive leaders and teams to enhance and align their effectiveness and vision and has provided career management expertise to leaders in transition at the C-suite level. Past clients have been from organizations including Biogen Idec, Children’s Hospital, Merck/Millipore, Sanofi/Genzyme, State Street, Eaton Vance, Iron Mountain, the Federal Reserve, and Proctor & Gamble among many others, including professional service firms and non-profits. In addition, Deb has coached international undergraduate, MBA, and Executive Ed students at several New England business schools. With a strong business background, Deb led the strategic direction and created a multi-year product roadmap for a division of Fidelity Investments. She has been published or quoted in CBS MoneyWatch, Business Insider, Talent Management, SHRM and AMA Shift on issues related to talent management and workplace trends. A member of The Boston Club, whose mission is to increase the number of women on corporate boards and in top leadership roles, she has served on the corporate board and mentoring committees. Deb holds a BS in Business Administration/Marketing and a MA in Community Social Psychology from the University of Massachusetts where she taught Dynamics of Interpersonal Relations. Begin or continue building your networking “portfolio,” and help prepare yourself for our fall event focused on jump starting your career and making moves. Connect with old friends and make new ones over appetizers and a cash bar, and participate in low-key networking activities. Free for members; as a non-member, sign up for membership and have the $15 event fee waived. We look forward to seeing you there! Join us for a “fireside chat” with one of Boston’s most influential women in healthcare: Ellen Zane. 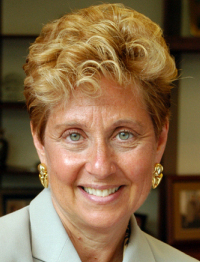 Ellen is a nationally renowned health care leader who recently retired as President & Chief Executive Officer of Tufts Medical Center and the Floating Hospital for Children. She was the first woman to run the hospital in its 215-year history. Ellen remains highly involved at Tufts Medical Center as a vice chair of the Board of Trustees, strategic advisor and fund-raising advocate. Ellen holds two faculty appointments at Tufts University School of Medicine and holds a faculty appointment as Adjunct Assistant Professor in the Health Policy and Management at the Harvard School of Public Health. For the period of 2011 to 2013, Ellen is a Distinguished Guest Lecturer in Healthcare Administration at the Sawyer Business School at Suffolk University. She is also on the Boards of Brooks Automation, Haemonetics and Parexel. Join us for a “pre-summer” networking event. Celebrate the long warmer days, meet new colleagues and re-acquaint with old ones. Have fun talking with other women in healthcare about careers, healthcare, current events, or even just your hobbies. Hearty appetizers and cash bar will be available. We look forward to seeing you there! Spring Networking Event in Boston! Please join your colleagues and friends for this exciting networking event! This is the first WHCM event being held in the heart of the Boston Longwood Medical area. It’s a valuable opportunity to meet new colleagues and connect with one anther. Come to hear about WHCM’s upcoming professioinal programs and events. We anticipate new WHCM attendees from the Boston area given this venue. Appetizers will be included and a cash bar is available. Parking is validated after 5PM for $8.00. We recommend that you register in advance. The cost for non-members is $10, but if they are accompanied by a member, the fee is waived. We look forward to seeing you there!